One of the most challenging parts of operating a trucking company is adhering to all Department of Transportation (DOT) and Federal Motor Carrier Safety Administration (FMCSA) regulations. Whether you’re trying to start a new business or looking for trucking compliance assistance in South Dakota for an established company, US Compliance Services can help. Our experts understand the different local laws and regulations, allowing us to file paperwork, make sure drivers are qualified and help you avoid any fines. We offer a variety of South Dakota trucking compliance assistance services based on your needs. By following the right procedures, you can manage risks, maximize productivity and achieve greater transparency with your customers and employees. US Compliance Services continues to work for you by engaging in ongoing monitoring and management practices, so you can spend your time growing your business. For trucking company owners and supervisors, compliance can turn into a full-time job, leaving you little time to maximize efficiency and stay above the competition with new industry trends. US Compliance Services can help you with South Dakota trucking compliance by filing paperwork, offering DOT consulting services and making sure you follow guidelines for documenting new hires. DOT Consulting Services: The Department of Transportation has a detailed application and registration process that can get delayed if you fill out a form incorrectly. You must file your DOT application correctly and display your DOT number on your trucks. Our trucking compliance assistance services in South Dakota ensure you are meeting every DOT requirement. We also monitor when your registration expires, so you never have to worry about missing a deadline and facing a penalty. FMCSA Services: If your company transports hazardous material, you need to fill out an MCS-90 form to show you have the insurance you need if you would cause an accident. The Federal Motor Carrier Safety Administration (FMCSA) also has regulations regarding a BOC-3 process agent form and biennial updating. We can act as your resource for filling out and filing these forms, as well as helping you prepare for safety audits. DOT Driver Qualification Management: Every driver needs extensive documentation that you should be able to show at any time to meet FMCSA regulations. You must document all the proper applications, medical examinations, physicals, drug and alcohol tests and more. We can help you streamline this process and keep every document organized. Learn more by downloading our Driver Qualification File today. IFTA Assistance: The International Fuel Tax Agreement is between 48 states where motor carriers must submit fuel taxes. If your company meets certain stipulations, you may be required to file fuel tax returns and pay quarterly taxes based on your records. We’re experts in the IFTA guidelines, and we can prepare accurate and timely forms on your behalf. ELD and ELOG Compliance: Electronic logging devices (ELDs) or ELOGs are part of a new mandate to switch from paper logbooks to electronic options. This offers new opportunities for efficiency, but you must stay aware of other areas of South Dakota trucking compliance. US Compliance Services can help you get the most out of your electronic system by registering new units, getting the right permits and cross-checking your previous records. Local laws and compliance regulations are constantly changing. 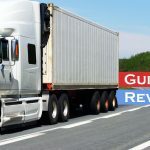 It is difficult to start a new trucking company and stay compliant, or even continue to operate an existing company within all compliance standards. US Compliance Services can act as your partner in trucking compliance consultation in South Dakota from day one. From filing paperwork to preparing you for your next safety audit, we can help you stay compliant and give you your time back. More Time: One of the biggest advantages of South Dakota trucking compliance assistance is that you have more time to devote to other areas of your business. Instead of worrying about compliance, you can focus on growing the company and your fleet. Let US Compliance Services handle your registration and compliance needs, while you concentrate on running the company. Increased Accuracy: Filling out registration papers or other files incorrectly can cause a slowdown in the entire registration process or even cost you money to fix. At US Compliance Services, our experts understand the laws inside and out. We file paperwork correctly the first time to give your company greater accuracy. An Honest Process: Every company can benefit from greater transparency. When you know you are compliant and every document is accurate, you will feel more comfortable sharing information with your customers and employees. US Compliance Services can help you get there with our trucking compliance consultation services in South Dakota. South Dakota trucking compliance does not have to turn into a headache. As experts in the industry, US Compliance Services keeps track of all the changing laws and regulations, so you do not have to. 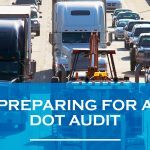 We prepare you for safety audits and handle the DOT registration process from start to finish. After we streamline the whole process, we continue to manage your company’s compliance, giving you reminders about when to renew paperwork. Instead of spending your time and money figuring out compliance alone, US Compliance Services can help you get it right from the start. Call us today to learn more about our trucking compliance consultation services in South Dakota, or contact us online for a free consultation.